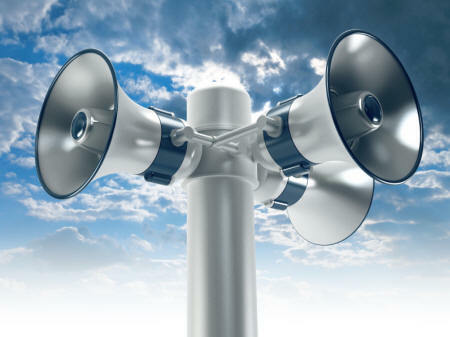 We understand that paging, sound, and public address systems are important for virtually every business or organization. As long as you have employees or consumers in your building or work site, these systems are incredibly important for your daily operation, and are used to distribute important information related to your customers, employees or general public. If you need to get in touch with someone fast, these types of technology systems have been the “go-to” for decades. Whatever it involves a business, school, hospital, retail, government, or house of worship building, Halcyon has the knowledge, skill, and experience to do the job! Messages are sent from an operator via a microphone console or telephone handset , Computer client or Smart Phone and are routed through amplifiers before being distributed from speakers in the designated areas. PA Systems can also distribute music into work places from digital media or radio. Voice Alarm Systems form part of the evacuation system or Fire Alarm Systems where a spoken message gives clear details of the problem and identifies the necessary action to be taken.